We’ve been in the auto industry for nearly 20 years and have been performing body work for over 6 years. We are a licensed auto body shop and work with all insurance companies. We assist our customers with a vehicle pickup/delivery services, flatbed towing, and on-site rental car setup. In addition to general auto body services, we also provide frame repair and allow wheel refinishing. If you’re in need of an Auto Body company that can take care of it all, give us a call at (508) 381-0521 today. 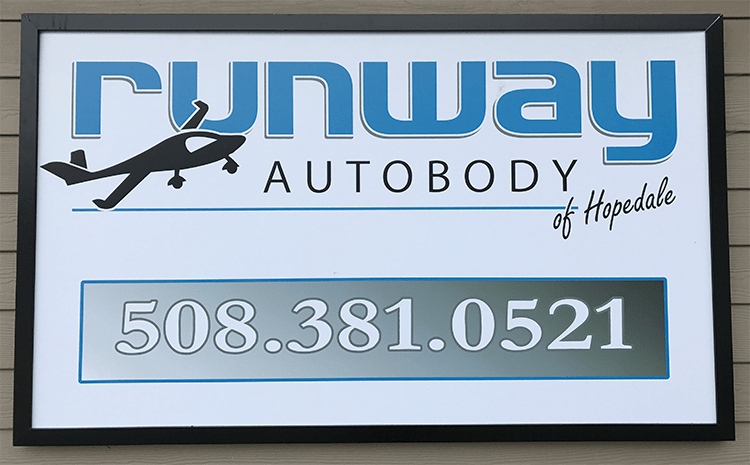 Runway Auto Body is ready to take care of all your auto body needs including collision repair, dent removal, and color matching services. We can work directly with your insurance company and also accept all major credit cards.